With the 2016 Emmy Awards set to air on Sunday, September 18 at 8:00 ET/7:00 CT, the Entertainment Fuse television staff has made their picks for who should take home the coveted statues and who will be victorious next Sunday. This year's list of nominees has been one of the more surprising crops in recent years, with the vast majority of nominees coming from critically acclaimed shows and a number of shows getting recognition after years without. In the interest of economy, we will be releasing our picks over three days, with day two covering Comedy- a category that has changed things up in recent years. 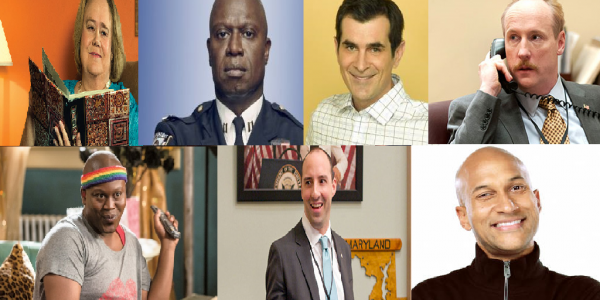 James Stancil: Who Should/Will Win: Andre Braugher, Brooklyn Nine-Nine Anthony Punt: Who Should/Will Win: Tituss Burgess, Unbreakable Kimmy Schmidt - A character like Titus Andromedon is perpetually in danger of being a one-note gay stereotype, but Burgess infuses him with enough originality and strangeness to make him compelling. His dynamic with Ellie Kemper’s Kimmy is the engine that makes the show go. Felicia Kudronowicz: Who Should Win: Tony Hale, Veep - This category made me realize I don’t watch that many comedies, but I have loved Tony Hale in a variety of roles, so I’m assuming he’s brilliant in this one as well. Who Will Win: Tony Hale, Veep - Veep always seems to be a favorite, so hopefully Tony Hale will grab this one again. Jean Henegan: Who Should Win: Tony Hale, Veep - Hale's work as Gary the Bag Man on Veep is so effortlessly brilliant. He absolutely deserves this award. Who Will Win: Tony Hale, Veep - Hale is a favorite of Emmy voters, so look to see him take this one again. 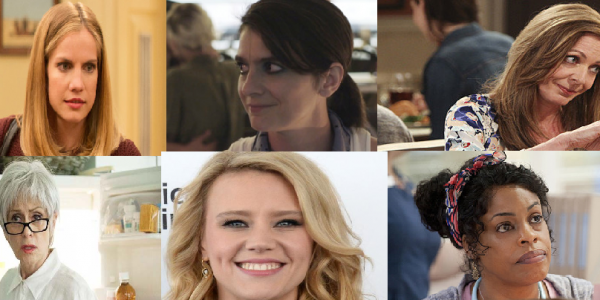 James Stancil: Who Should/Will Win: Gaby Hoffmann, Transparent Anthony Punt: Who Should/Will Win: Kate McKinnon, Saturday Night Live - Ghostbusters may have been a bust but hopefully that won’t impact the fine film career that awaits the talented McKinnon. Like past SNL performers Kristin Wiig and Will Ferrell, McKinnon effortlessly wrings humor out of sketches that don’t work on paper. Felicia Kudronowicz: Who Should Win: Kate McKinnon, Saturday Night Live - Kate McKinnon is one of the only reasons I still watch SNL. She’s endlessly entertaining and steals the show in every scenes she’s in. She definitely deserves some recognition. Who Will Win: Allison Janney, Mom - While I love Allison Janney, I have never seen Mom. I know she’s won for this role in the past so maybe she’ll get it again. Jean Henegan: Who Should Win: Gaby Hoffmann, Transparent - As Ali, the most complex and fleshed out of the Pfefferman children, Hoffmann is just plain stellar. In less sure hands, Ali could be a one note character. Under Hoffmann's control, she is the beating heart at the center of Transparent. Who Will Win: Allison Janney, Mom - The Emmy's love Janney, and I cannot see them breaking their track record and giving the award to someone new. 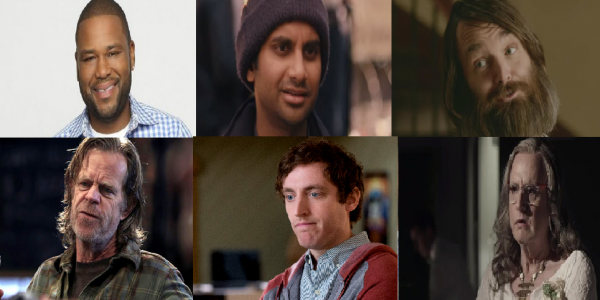 James Stancil: Who Should/Will Win: Anthony Anderson, Black-ish Anthony Punt: Who Should/Will Win: Thomas Middleditch, Silicon Valley - As socially awkward programming genius Richard Hendricks, Middleditch is the hub around which the show centers. This season’s Silicon Valley introduced a prickly side to Hendricks that Middleditch pulls out while still making the character sympathetic. 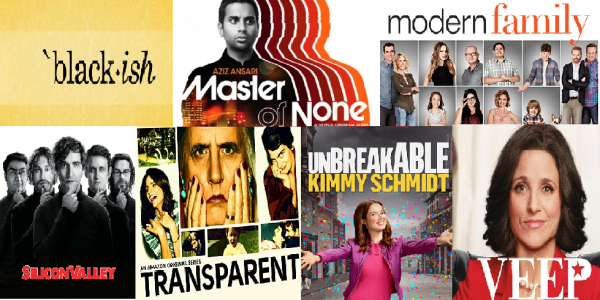 Honorable mentions to Aziz Ansari and Jeffrey Tambor for their fine work. Felicia Kudronowicz: Who Should Win: Aziz Ansari, Master of None - It was awesome to see Aziz Ansari in a different role for Master of None and I really enjoyed how relatable his character was. Who Will Win: Jeffrey Tambor, Transparent - Again, Tambor is a past winner, which makes me think he might get it again. Jean Henegan: Who Should Win: Jeffrey Tambor, Transparent - Tambor is able to make Maura into a fully realized character, which is something that can be hard for a cis actor to pull off when playing a trans character. He has created a complex and layered woman in Maura, and for that reason I hope to see him win once again. Who Will Win: Jeffrey Tambor, Transparent - I see Tambor taking another award for his work as Maura Pfefferman. 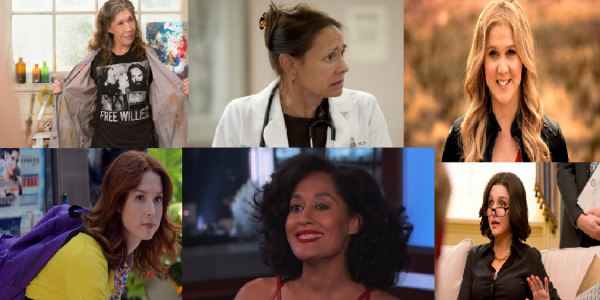 James Stancil: Who Should/Will Win: Tracee Ellis Ross, Black-ish Anthony Punt: Who Should/Will Win: Julia Louis-Dreyfus, Veep - Louis-Dreyfus is sort of the Michael Jordan of this category: as long as she’s in “the game,” all of the awards belong to her. With that said, Ellie Kemper’s irrepressibly delightful performance on Unbreakable Kimmy Schmidt deserves recognition and would likely earn the talented Kemper an Emmy in a non-JLD world. Felicia Kudronowicz: Who Should Win: Amy Schumer, Inside Amy Schumer - Amy Schumer continues to impress me on Inside Amy Schumer. She does a great job of balancing comedy with serious issues. One minute I’m laughing and the next I’m crying at how real it is. Who Will Win: Julia Louis-Dreyfus, Veep - Julia Louis-Dreyfus has won for this role a few times, so they might give it to her again, but at least her speeches are fun to watch. Jean Henegan: Who Should Win: Julia Louis-Dreyfus, Veep - Louis-Dreyfus is giving the best performance on TV's best comedy. She deserves to take this one once again. Who Will Win: Julia Louis-Dreyfus, Veep - She's going to just keep winning until the show ends. James Stancil: Who Should/Will Win: Black-ish Anthony Punt: Who Should/Will Win: Silicon Valley - Perhaps I’m biased because I’ve reviewed the series for Entertainment Fuse, but Silicon Valley consistently manages to make the tech world interesting and relatable to non-programmer types. Felicia Kudronowicz: Who Should Win: Master of None - Master of None was truly enjoyable to watch from start to finish. It felt like the most realistic show I’ve seen in a while and the topics covered were important and well-discussed. I’m happy the show is nominated, but it would be even better if it won. Who Will Win: Veep - Veep continues to be a favorite, winning in this category last year, but I'm just glad Modern Family's winning streak has come to an end. Jean Henegan: Who Should Win: Veep - Veep is still the funniest comedy on television, and it deserve to take home another trophy this year. Who Will Win: Veep - It will be another victory for the team at Veep.